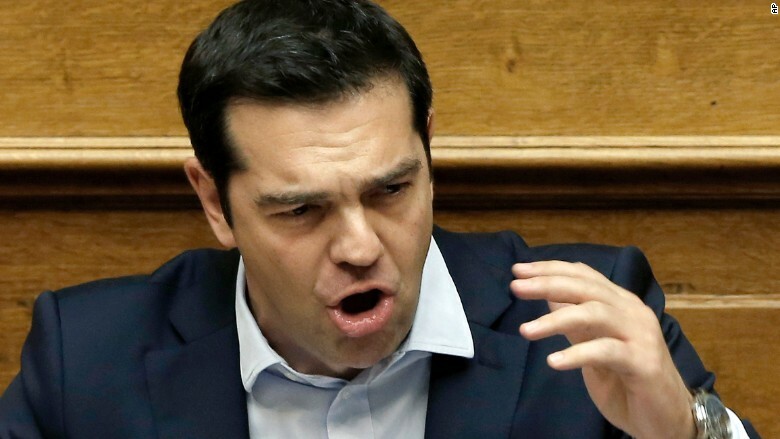 Greek Prime Minister Alexis Tsipras triggered a last-minute scramble by slamming a draft proposal from Europe and the International Monetary Fund on how to rescue Greece. Tsipras said he would put the question of whether to accept the proposal to the Greek people in a referendum on July 5. Then on Sunday, after it became clear the European Central Bank would not -- or could not -- do enough to prop up Greece's financial system, Tsipras announced that the banks would close starting Monday. What follows is the text of his defiant statement, edited for clarity. Yesterday's decision by the Eurogroup to withhold approval of the request of the Greek government for a short extension of the program -- which would allow the public to decide in a referendum on the demands of lenders -- is an unprecedented act. This decision ... led the ECB to withhold an increase in liquidity to Greek banks and forced the Bank of Greece to recommend measures for a bank holiday and a limit on bank withdrawals. It is more than clear that this decision had no other aim but to blackmail the will of the Greek people and obstruct the smooth democratic process of the referendum. They will not succeed. This will bring the precise opposite effect. The Greek people will be more resolute in its choice of rejecting the unacceptable bailout proposals and the ultimatum of lenders. One thing is clear: The refusal of a short extension, and the attempt to nullify a democratic procedure, is an act deeply offensive and shameful for the democratic traditions of Europe. For this reason I today sent a new request for a short extension, this time to the President of the European Council and the 18 heads of state of the Eurozone, and in addition to the head of the ECB, the Commission, and the European Parliament. I await their immediate response to a fundamental request of democracy. These are the only ones who can, the soonest possible, even tonight, overturn the decision of the Eurogroup and give the ECB the ability to restore the flow of liquidity to banks. However, what is required in coming days is composure and patience. 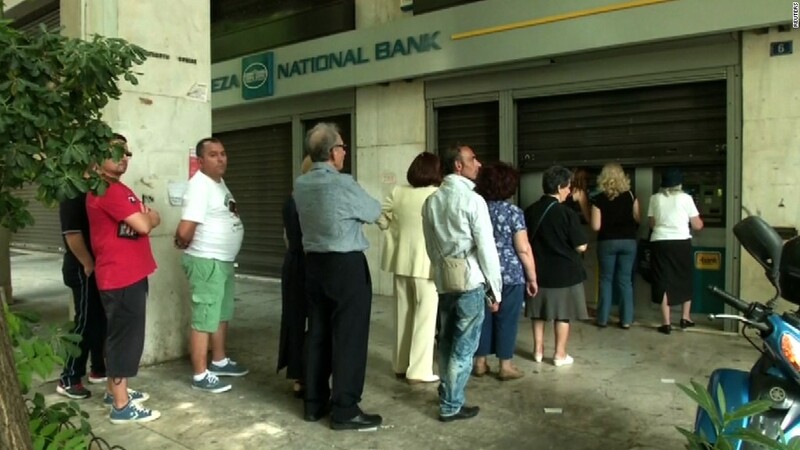 The deposits of citizens in Greek banks are absolutely secured. As are the payments of salaries and pensions. Any difficulties which may appear must be dealt with calmly, and with resolve. The calmer we deal with difficulties, the sooner we can overcome them and their consequences will be milder. Today we have the opportunity to prove to ourselves and the world that those in the right can win. We have once again the historic responsibility to send a message of hope and dignity to Europe. You must remember, in these crucial hours, where we are rising up to be counted based on our history, our only fear is fear. We should not let that overpower us. We will make it. The dignity of Greeks against blackmail and injustice will send a message of hope and pride to all of Europe.